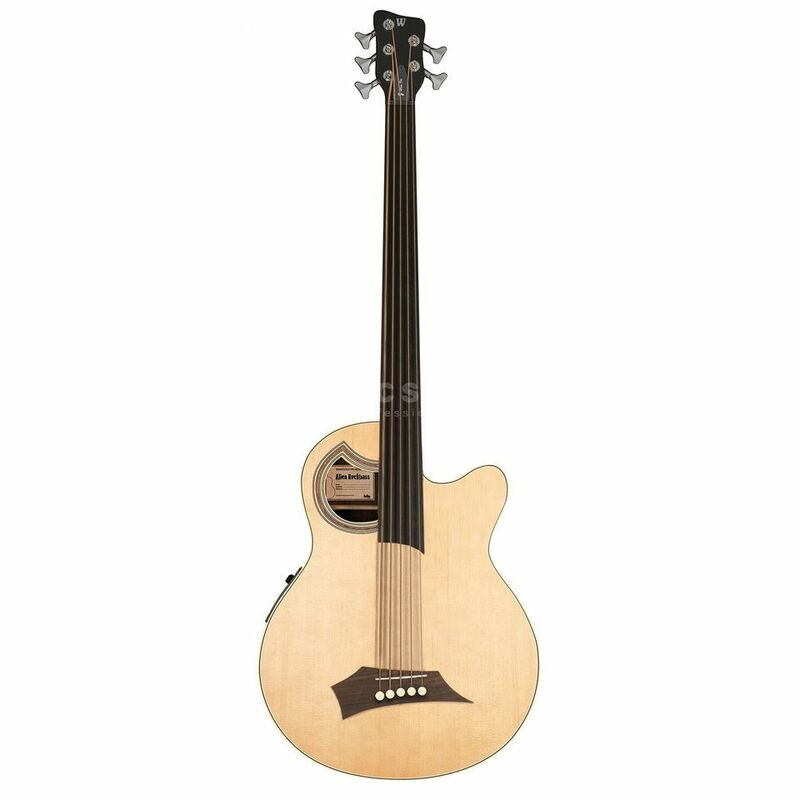 The Warwick Rockbass Alien Standard 5 FL 5-String Fretless Electro Acoustic Bass Guitar Natural produces double bass tones but with electric bass feel, adding a new dimension to any bass player’s domain. The unique looking Alien Standard features a laminated Spruce top and laminated Bubinga body that add strength, a high quality Ebony fretboard, Warwick precision tuners with a 20:1 ratio, Just A Nut III nut, a Warwick 3-D Bridge with individual string saddle adjustments for intonation, string spacing and height. Other features include a Fishman Prefix Plus pickup and pre-amp system with a variable notch filter, shelving EQ, semi-parametric contour, brilliance controls for precise tone shaping, a phase reversal switch and low battery indicator.